Silver necklace, the frame has a green plastic thread containing articulated solid silver shapes and amber bead. 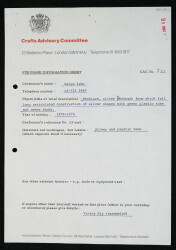 No technique information in the maker file. 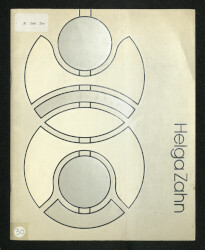 Neckpiece, Helga Zahn, 1972-74, Crafts Council Collection: J22. Photo: Todd-White Art Photography.